The ST today has reported that Sing Holdings had been awarded the tender of the 15-unit Robin Court and an adjoining bungalow in Robin Drive. It is paying $77.33 million, which works out to approximately $1,363psf ppr for the freehold site. This is a better-than-expected price tag for a completed collective sale since the property cooling measures announced at the end of last month. The site’s key selling point is that it is less than 200m from the upcoming Stevens MRT station – part of the Downtown Line expected to be completed in 2015. The site’s land area is 40,518sqft with a gross floor area of 63,606sqft. Mr. Karamjit Singh, managing director of Credo Real Estate, had expected the offering to do well, projecting offers of between $66 million and $74 million, or about $1,046 to $1,172psf ppr. Given the higher selling price of $77.33 million, the break-even price is estimated to be $1,800psf and the selling price could be around $2,200psf. About 60 apartment units of an average size of 1,000sqft – depending on layout and configuration – can be built on the plot. The land is zoned for residential development with a plot ratio of 1.4. No development charge is expected. This is third time lucky for the residents of Robin Court and No. 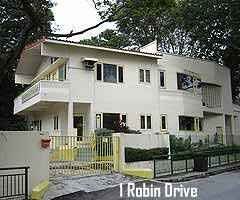 1 Robin Drive. The two properties had been launched for sale in 2007, together with a third property. But there were no takers. A second attempt in July 2008 for the two properties again yield no results. 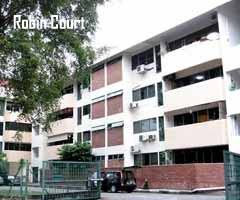 No Comment to " En-bloc news: Third time lucky for Robin Court! "